What will Eddie Murphy Be Like at the Oscars? Today at award shows, there are two types of hosts, the friendly, funny comedy (Carson, Crystal) or the edgy comedy (Stewart, Gervais). Both types of hosts have succeeded and been very funny, and have also bombed (Look at Chris Rock and James Franco). Obviously, this argument applies to Eddie Murphy, whose comedy style has changed from the edgy days of Beverly Hills Cop to family flicks like Meet Dave. What made Murphy a star was his edgy comedy style, not the dopy humor of Imagine That. Producer Brett Ratner promised audiences that the Oscars will have some laughs. But will the Academy risk taking Murphy? Last Golden Globes, Ricky Gervais had ticked off most off Hollywood, which led the Oscars to write “nice, friendly” material, which we all know how that went. The Oscars number one fear is to be made fun of at there own faces. What Murphy does may be up to him. 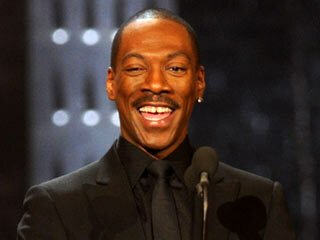 « Eddie Murphy to officially be Oscar Host, is it 20 years late? do you think Eddie Murphy will be a good host? I think he appeals to an older audience, but maybe that’s who watches the Oscars. I actually feel this might work. He may attract people in their 40s who were his fans when they were in their 20s.